666: Are You The Beast? Today’s topic may be easier to grasp if you are knowledgable in the study of metaphysics, but if not, I’ll make sure to keep it simple for you. Have you ever wondered what the Mark of the Beast (666) mentioned in the Bible could be? First, John, the author of Revelation, told a first-century audience that with “wisdom” and “insight” they would be able to “calculate the number of the beast, for it is man’s number. His number is 666” (Revelation 13:18). Well…did you know that you currently have the Mark of the Beast on you (and in you) right now?! 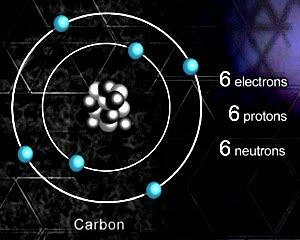 That’s right…You are made up of what is known as the Carbon Atom (6 Protons, 6 Neutrons, and 6 Electrons). The Carbon Atom is necessary to form all DNA and RNA, the chemical code of life. Today, our “wisdom” and “insight” is at an all time high giving us the ability to decipher mystical codes and numbers left by those of higher consciousness in our past. 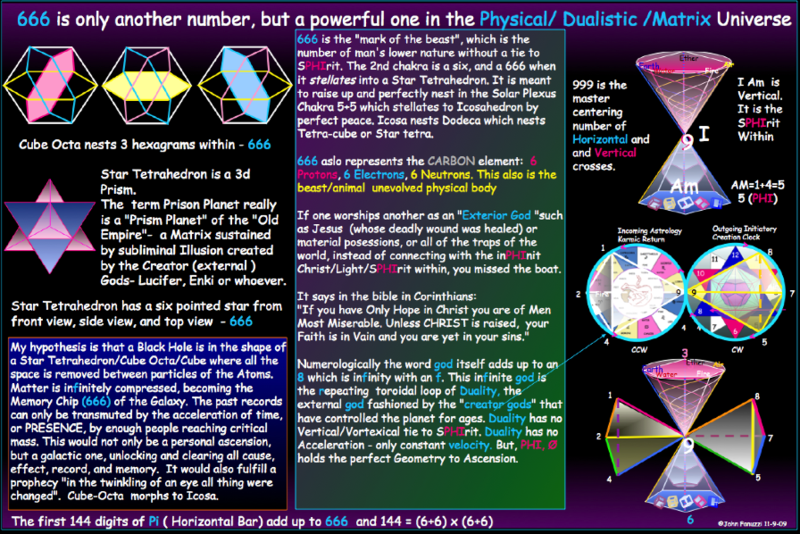 As shown in the diagram below, the 2nd chakra is a six, and a 666 when it stellates into a Star Tetrahedron. What’s the importance of this you may ask? The answer is dimensional ascension. Please view the diagram below and the attached video for a better overview of this science. Please take time to view the short video below and post your thoughts. I promise this information is mind blowing! Once you complete your studying, you will find that the beast is our physical body. Experts in this field believe we must get our atoms to 6-1-6 (or Carbon 12) to ensure ascension. What do you think? (Take a Research Break) So…now that you’ve done your research…post your thoughts?